If you have apartment houses for sale and want to make some attractive marketing materials. 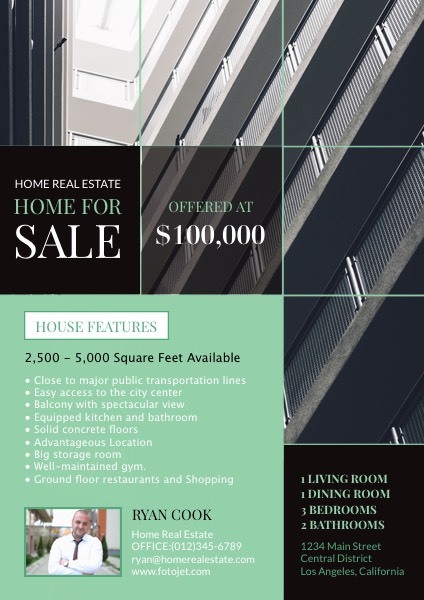 This real estate flyer template will easily come into your notice. Its embedded apartment image, listed house features and arranged information text can make the design stand out. Most importantly, all elements on the flyer design template are customizable, so it is easy to upload your images and change the text to make real estate flyers for your properties.